If you’ve ever done any automotive repair or restoration, you know the price of parts can really add up. Instead of paying top dollar at the auto parts store, why not save money, have some adventure, and get an invaluable mechanical education? Take a trip to one . . .
Getting rid of an old car can be a challenge. If you’ve had one for a few years, and it’s given you some great miles, it may not matter how reliable it’s been, you could have a difficult time getting a fair value for it. So, before you go anywhere else, take your car . . .
How Often Should You Replace Your Brakes? Your vehicle’s brakes eventually wear over time and need replacement. Failure to make this minor repair causes accidents and injuries. But, the question remains, how often should you replace the brakes? Junk yards in Fort Myers, Florida, get this question a lot, as do your neighborhood mechanics. It really depends on your driving habits and other . . . If you have to have your vehicle fixed and it needs new parts for whatever reason, you could be looking at a hefty repair bill. Sometimes, you may not have a choice about what part is used where, but more often you can save a lot of money by finding a used car part. At U . . .
You may be wondering what you’re going to do with your used car. Maybe it’s not running as well as it used to run or perhaps it’s beyond repair. 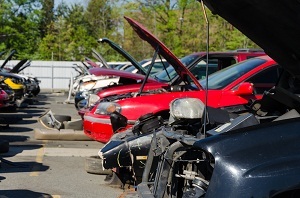 Selling your car to a company that proclaims, “we buy junk cars” can be one of your best options. Here are some vehicle selling tips on how . . .
Florida has the third-highest number of licensed drivers in the country. Needless to say, our cars are an important part of our lives. We name our cars, bond with them, and even introduce them to our friends and family. Unfortunately, these same cherished assets only depreciate with time. While you may find yourself utterly attached to . . . If you’re thinking about getting rid of your old ride, why not make a few dollars in the process? Charities and junk yards in Florida can help you dispose of your car Keep reading and learn more from U Pull N Save. You can sell your old car to a dealership, but chances are you’ll make . . . Does your car need a minor repair or part replacement? If you’ve contacted your local dealership for this part, chances are you experienced quite the sticker shock. 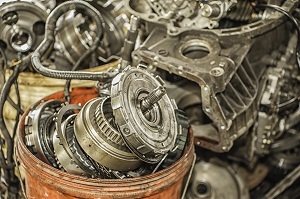 While some parts should be purchased new (like windshield wipers or windshields), other car parts can be much cheaper at a self-service salvage yard in Florida. Why should you . . .
A car salvage yard in Florida is one of the best places you can go to find inexpensive used car parts. There are 2 basic types of salvage yards: self-service, where you pull the parts yourself, and full-service, where an employee pulls the parts for you. Here are 4 advantages of self-service yards. Low prices are . . . Going to a junk yard for used parts is a great way to save money on car repairs while still getting high-quality replacement parts. Similarly, selling an old car to a junk yard is often quicker and easier than trying to find a private party buyer. Nevertheless, to make the most of your visit to the . . .